← Do your employee/contractor non-disclosure agreements comply with new DTSA notice requirements? On June 23, 2016 there will be a referendum to determine whether Britain will leave the European Union (Brexit). The polls are close although most suggest that the UK will vote to stay in the EU. In any case, Britain leaving the EU would have no impact on obtaining Patents through the European Patent Office (EPO). A European Patent Application is governed by the European Patent Convention (EPC), and membership of the EPC is separate to membership of the EU. Indeed, the EPC currently includes a number of states which are not members of the EU, for instance, Switzerland. It is likely that the European Unitary Patent will finally come into effect in the first half of 2017. A European Patent proprietor will then have the option of validating their European Patent in each territory of interest (as in the current system), or allowing their European Patent to become a Unitary Patent covering all states party to the Unitary Patent Convention. A Unitary Patent (UP) differs from the current European Patent (EP) system as it will have unitary effect for all countries of the EU (with the exception of Spain and Croatia). If Britain votes to leave the EU, a UP will not be effective for Britain, and separate validation of a European Patent into Britain will be required. If a European Patent proprietor decides to allow their European Patent to become a Unitary Patent, the proprietor will be granted a single Patent that is effective for the whole of the EU (with the exception of Spain and Croatia), as opposed to the bundle of national Patents that are currently awarded. There are pros and cons to this new system. Validity and infringement of a UP will be decided by the Unified Patent Court (UPC) which is in the process of being established. Decisions by the UPC will have a pan-European effect and the Court will have the power to issue pan-European injunctions. This means that UPs are subject to central revocation. Some Patentees are reluctant to allow Patent protection for the whole of the EU to be invalidated with a decision of an untested Court. If the proprietor validates in each European state of interest, he will have the option of opting out of the jurisdiction of the Unified Patent Court for an initial interim period of at least seven years. This opt out will not be available if proceedings have already been commenced before the UPC. After this interim period, the UPC will have exclusive jurisdiction for any European Patents unless already opted out, as well as for UPs which are incapable of being opted out at any stage. A single annual renewal fee will become due for a UP as opposed to the multiple renewal fees which will become due if the proprietor validates in each European state of interest. This means that the administration of a UP will be simpler and cheaper where multiple European countries are of interest. However, the proprietor will not have the option of reducing coverage, and the associated cost of renewal payments during the life of a UP. The existing competences of the EPO will remain unchanged, with the opposition period remaining intact. Decisions by the EPO are valid throughout the territory where the European Patent is valid and may thus encompass 38 countries. Furthermore, countries may still grant their own national Patents independently of the European Patent Office. Once the UP comes into effect, European Patent attorneys based in the UK will continue to be permitted to prosecute European Patents covering all designations (including Unitary Patents). There is a possibility that the Unitary Patent Convention (UPC) will not go ahead if the UK votes to leave the EU as its economic value would be greatly diminished – the UK is the second largest economy within the EU. However, in my view this is unlikely and the UPC will probably nonetheless proceed. 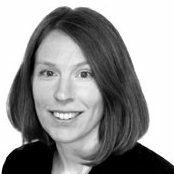 Julia D’Arcy is a Chartered and European Patent Attorney focusing on he protection of inventions in the chemical, pharmaceutical and medical sectors. Julia’s fields of expertise include biomaterials; polymer sciences; medical devices ranging from contact lenses to stents and grafts; methods to assist in the diagnosis and treatment of a variety of medical conditions; drug delivery systems; ionic liquids and materials including diamond, paper and glass technology.